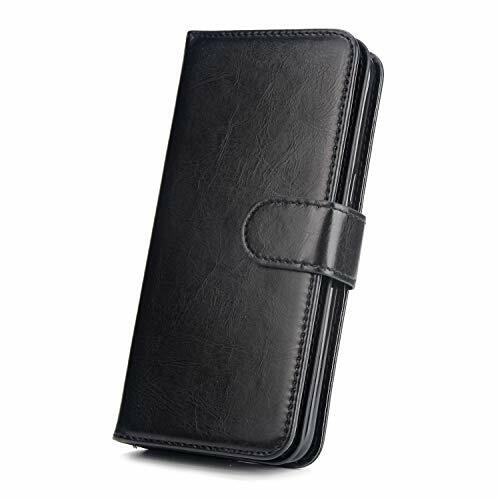 Our materials are environmentally friendly and high quality PU leather and TPU silicone to protect your phone The premium material make the case have strong ability in toughness and permeability,abrasion resistance. 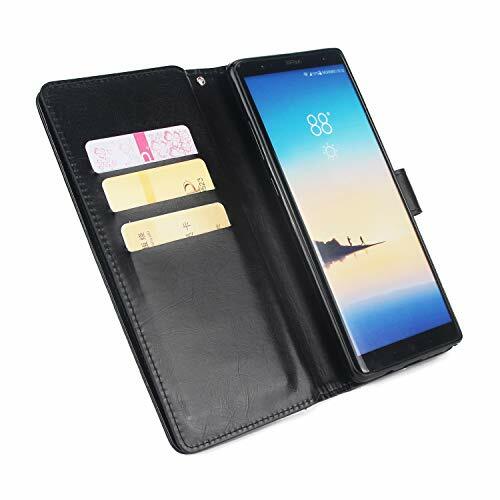 The flip case can specially protect the screen.The front and back covers against accidental scratches,drops,knocks,bumps,and dust.We promised that each hole and edge would be appropriate. -The flip case can stand easy on all angles,you will watch movies,drive cars and read books more free. -Intelligent design allow you to charge and use headset without removing the case.Easy to install. 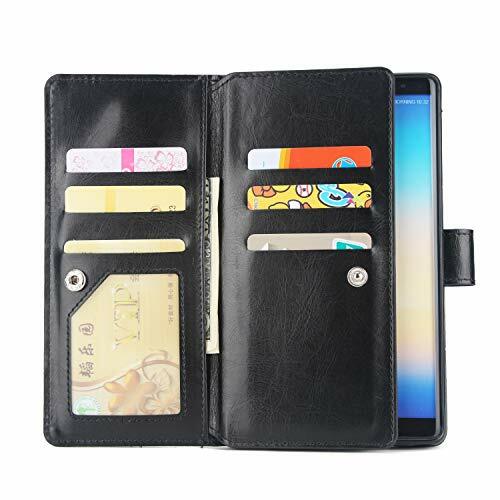 -Our products use anti-skid materials to avoid slipping off your phone.Card slots and money pouch were designed for the convenience of use. 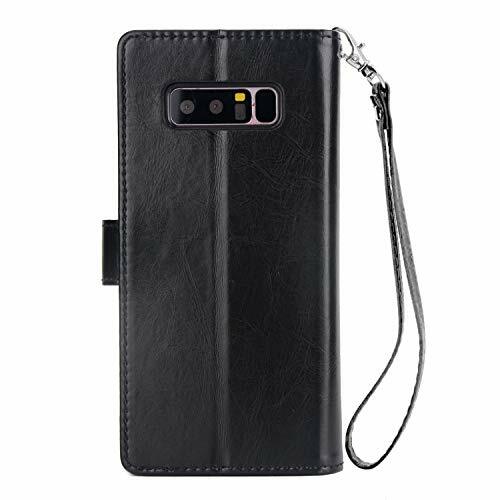 -Special design cases make your phone more personalized.The case and your Samsung Galaxy Note 8 match up well enough to be considered a suit. -Detachable hand wrist strap allows carrying around your phone alone or putting in your pocket. Shockproof with high quality TPU and soft silicone inner case. The shell is designed in a variety of colors,making it ideal for use as a gift. Precision cut outs for charger,camera and all other jack and port which fits your phone perfectly.Soft case easy to install.Intelligent design allow you to charge and use headset without removing the case. 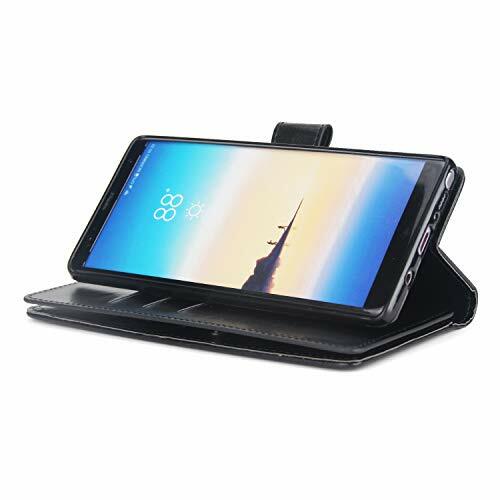 The case can stand easy on all angles,you will watch movies ,drive cars and read books more free.Cards holder eliminate the need to take your wallet away.